A warm and gracious complement to Eternal dinnerware. 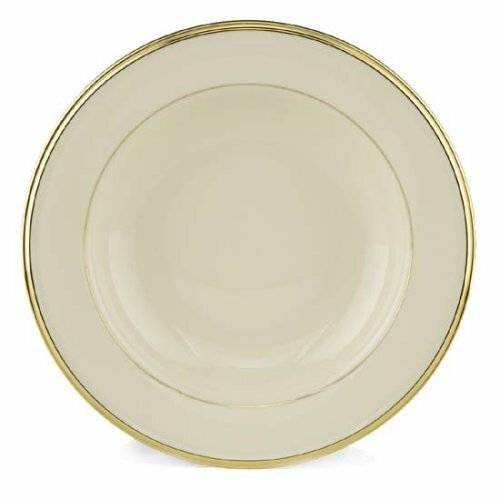 Serve your family and guests your favorite pasta recipe or a bowl of delicious soup in a dish of ivory china, rimmed in gleaming gold. 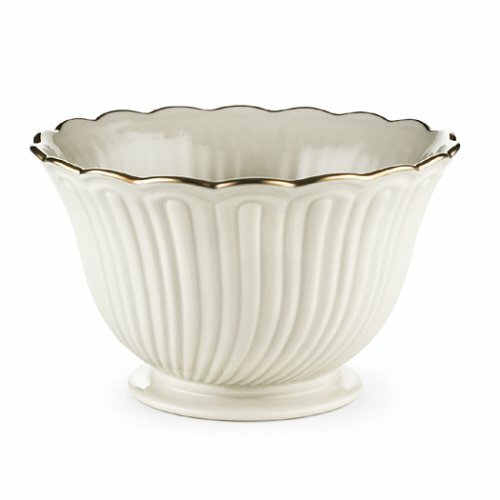 This bowl also complements most Lenox gold-accented ivory china Lenox patterns. A graceful herringbone design and scroll and leaf motif re-create the harmony and symmetry of that era. The use of gold exclusively in Republic creates an opulent effect. Ruby enameled dots, hand applied with a skill known as "jeweling" further enhance the design. 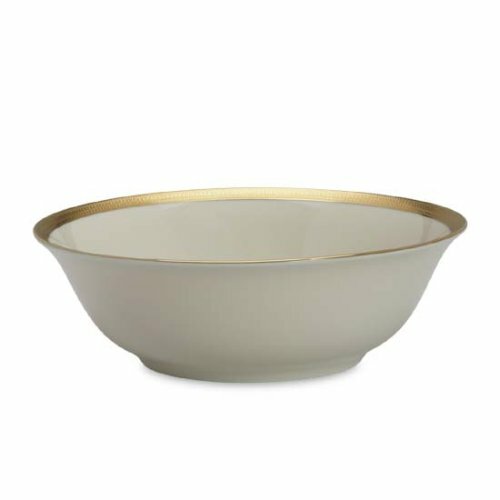 Subtle tones give this bowl its elegant appearance. A creamy white-on-ivory floral pattern, interspersed with enamel dots, adorns the border of this exquisite plate. The band is satin glazed for beautiful presentation. Versatile, simple, indispensable. This china bowl is a must for the Solitaire service and an elegant addition to any table setting. 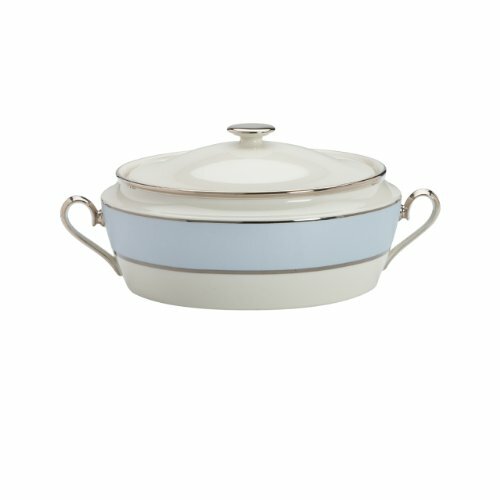 Fill it with salad, cooked vegetables, mashed potatoes¿ just about anything. 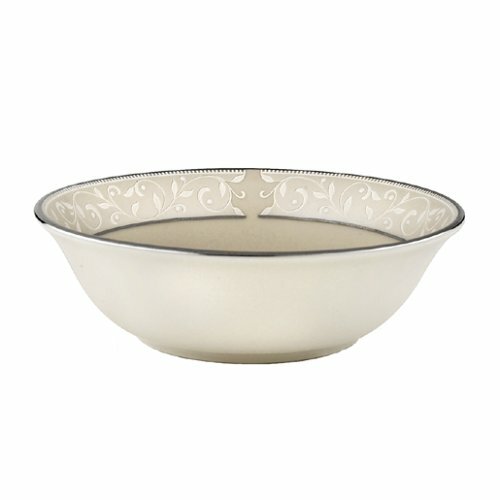 It also coordinates beautifully with other Lenox patterns in ivory china and platinum. 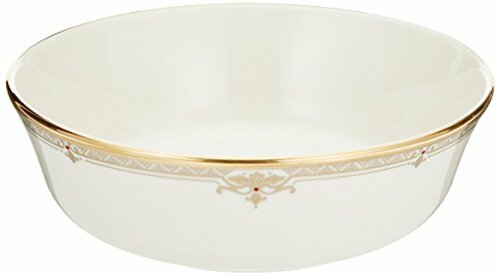 Pure 24 karat gold enhances the scalloped rim of this attractive bowl. Sculpted around the bowl are curved columns that create a swirled pattern – and an eye-catching décor accent. 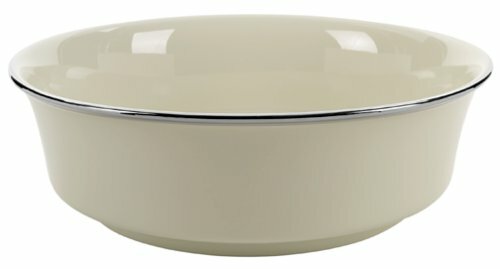 As its name implies, the bowl makes a great housewarming gift. A timeless Lenox design, Spring VistaÖ dinnerware is elegant and spirited, rich and colorful. Gracing your table, this collection is a breath of fresh air - every day of the year. 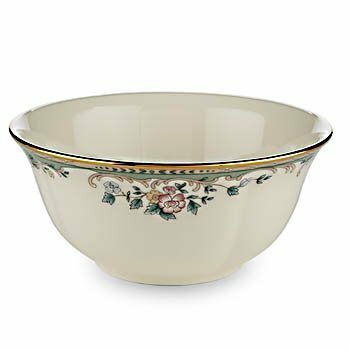 The ivory fine china is decorated with antique flowers and accented with a rim of gold.